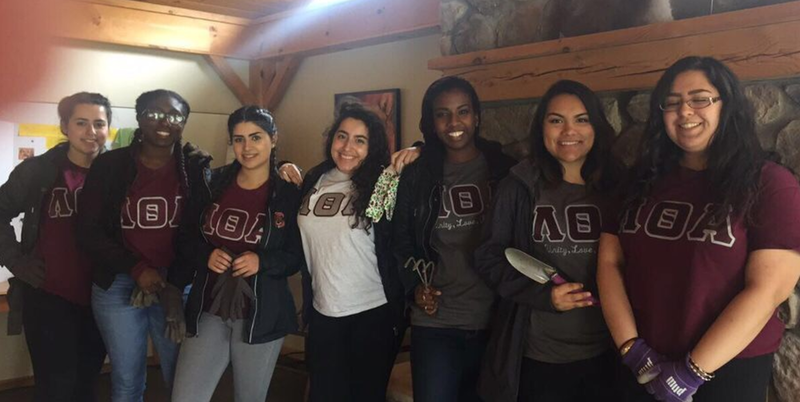 The Gamma Phi Chapter of Lambda Theta Alpha Latin Sorority, Inc. was founded at Cornell University on June 6th, 2004. Lambda Theta Alpha Latin Sorority, Inc. has catered to the development of the Universal Woman. We, the Sisters of Lambda Theta Alpha Latin Sorority, Inc., Gamma Phi Chapter, uphold the principles of our sisterhood and strive each day to promote the unity and the development of our community. We strive to develop strong leaders who will then provide and practice political, social and cultural activities. We pride ourselves in being "Latin by Tradition, Not by Definition", and we welcome women of all backgrounds. As women of different ethnicities and backgrounds we have come together and created an impenetrable fortress of sisterhood and fortitude. On behalf of all the sisters of Gamma Phi Chapter of Lambda Theta Alpha Latin Sorority, Inc., I would like to welcome you to our chapter page. Lambda Theta Alpha Latin Sorority, Inc. is a sisterhood based on the principles of Unity, Love and Respect. The first Latin sorority, it was founded in 1975 at Kean University. Our mission is to develop strong professional women and leaders who will pave the way for generations to follow. Here at Gamma Phi Chapter, we strive to uphold these principles, as well as provide a voice and safe space for the members of the Cornell community. In addition to this, our members strive to maintain a high standard of learning. Although founded as a Latin sorority, Lambda Theta Alpha Latin Sorority, Inc. prides itself on being “Latin by tradition and not by definition”; the sisters of Gamma Phi Chapter all possess diverse backgrounds and life experiences. However, together we work to promote unity through charitable and educational programs. Thank you for taking the time to learn more about our chapter and feel free to reach out to any of us to learn more information. We hope to see you at our future programs and events!